Last time, I covered the Six Worst Star Trek films. This time, let us look at the positive. Granted, of the Top Six Star Trek films I actually only thought well of the Top Three. In fact, I own only three Star Trek films (which are the Top Three of my Best Star Trek films). The other two are not all that good, but bearable. Let us now begin. The Voyage Home was the first Star Trek film I saw, and to be honest it didn't have me wanting to watch any more adventures of the U.S.S. Enterprise. Part of it was the fact that the movie was The One With the Damn Whales, where a movie became an excuse for an environmental message. It's a commendable message, but isn't it strange that in Voyage Home the whales don't exist in the 23rd Century, but Leningrad still does? What keeps it tolerable for me was that Star Trek finally allowed more humor and comedy to enter the picture. It was a lighter Star Trek film, minus the 'save the whales, save the world' deal. Still, I respect the fact that it was trying for something other than a serious adventure and allowed itself a chance to have fun with things. I probably would have liked it more if weren't for the 'save the whales' thing...and the fact that the events from Star Trek III: The Search for Spock played almost no part of the story, instead being shoehorned in for no great purpose. However, I'm softening to the 'nuclear wessels'. First Contact is the first Star Trek film on the countdown that I would qualify as 'good'. It balances action with a hint of comedy. It has a magnificent performance by Alice Krige as The Borg Queen. Moreover, one didn't have to see The Next Generation's two-part The Best of Both Worlds to follow the plot (though it would have helped). Granted, Data getting it on with Her Borgness was creepy, but it had action, good philosophy on the subject of revenge, and some humor. Now, I confess that for the first third of the film I didn't know what was going on but once the film settled down I found it both enjoyable and intelligent. 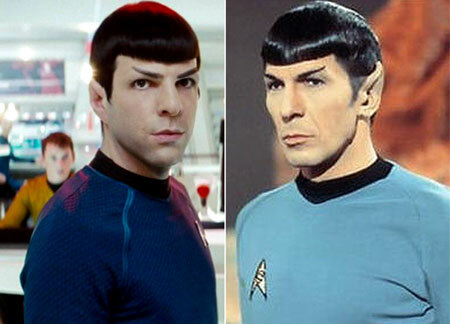 The events in Search for Spock relate to the previous movie, which is an intelligent idea. The action is balanced with a true emotional core involving Kirk and his son. The tension between the Klingons and the renegade Enterprise having to battle them and the Federation to save their friend Spock keeps one waiting to see how it will all turn out. 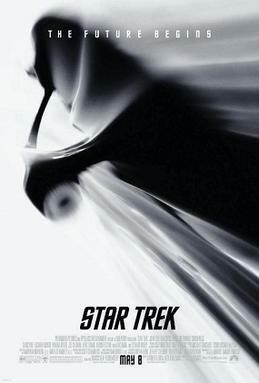 It did come close to being a bit reverential but on the whole I was both entertained and pleased that Search for Spock had good action, good acting, a good story and what Star Trek should have...hope. I'm sticking with my original decision to make the reboot of Star Trek my second greatest Star Trek film. The franchise needed a giant shot of adrenaline to bring it back to life. Star Trek was the shot it needed. The story was exciting, the performance on the whole excellent (playing tribute to the original while making it unique to itself) and the blending of past and present worked...mostly. It took some time to get things started, and the middle section where New Kirk and Old Spock meet was a bit forced, but I consider these things minor flaws. On the whole I loved Star Trek, which makes me think so much less of Into Darkness. Wrath of Khan is an excellent film. It has action, it has romance, it has comedy. One doesn't need to have knowledge of Star Trek to know what is going on. Ricardo Montalban's performance as Khan (or as NuTrek fans know him, the guy who played Benedict Cumberbatch's role before Benny was born...spoilers) is intense and enthralling. The emotion within Wrath of Khan, with great performances by the cast en masse, is thrilling and ultimately heartbreaking. 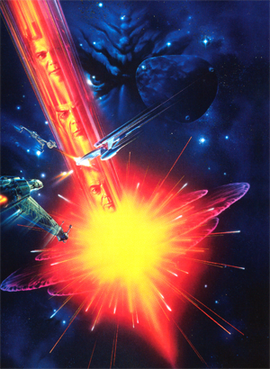 No matter what happens in future Star Trek films, they will all be measured against Wrath of Khan, which is why I always call it the Citizen Kane of Star Trek films. Well, I hope that the next Star Trek film is truly original, not an imitation, and an imitation of the Greatest Star Trek film ever made. Personally, I don't think many Star Trek films are all that good. However, at heart I'm an optimist and hope that future adventures of the U.S.S. Enterprise do right by both the franchise and the fans.